I had an opportunity to share with the principal and teachers of Ipeka Christian School on “Classroom Management” this afternoon (20 Oct 15). 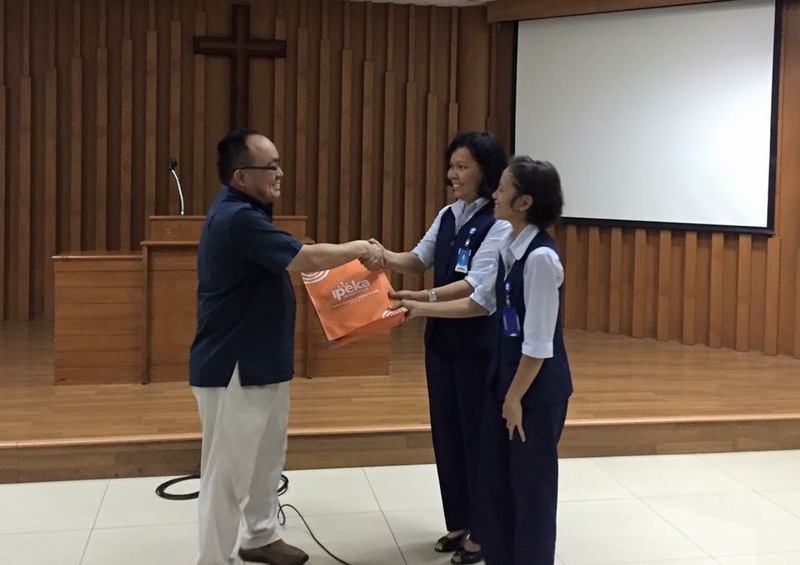 I was blessed with a token of appreciation for the training session, the devotion at the teachers meeting and the sermon at 2 school chapel service. 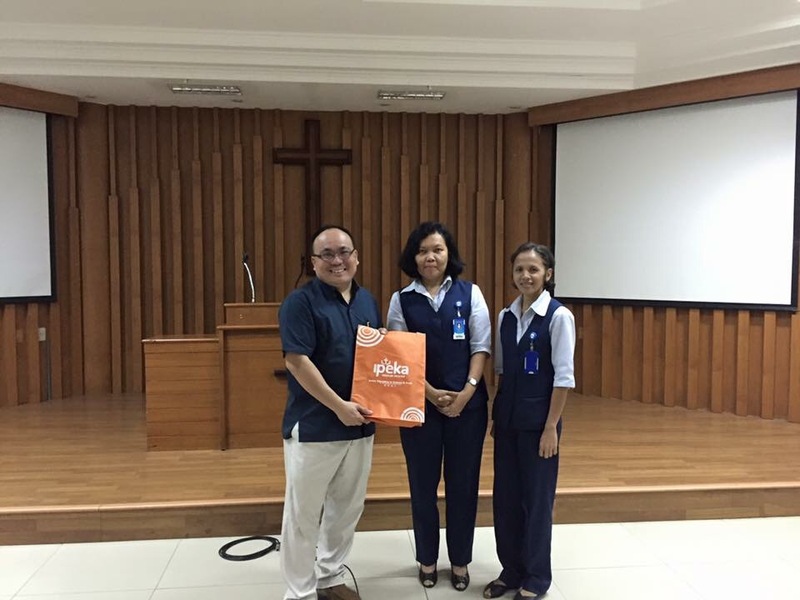 Thank you Pak Petrus for giving me the privilege to come and share at the school and the church. 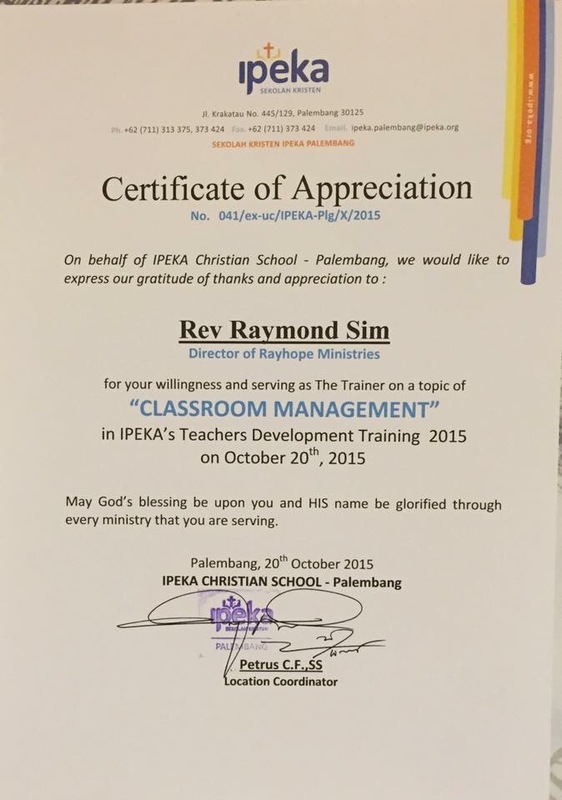 Previous postPreaching at Chapel Service for Ipeka Christian School in Palembang on 19 Oct 15.